Latest flagship smartphone of OPPO, N1, now has a variant OS other than ColorOS. 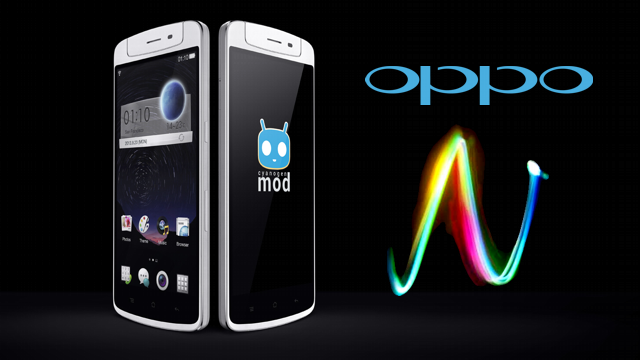 Some will be sold using the OPPO N1 CyanogenMod directly from the default (out of the box). OPPO N1 Limited Edition will be available next month in conjunction with its global launch. For the price, OPPO N1 Limited Edition is no different from the regular version. In the sales package, OPPO N1 Limited Edition has an innate characteristic. OPPO include stickers CyanogenMod, CyanogenMod and stylish design packs a special case designed to N1 with CyanogenMod mascot and OPPO. N1 to the international non-limited version with ColorOS, OPPO also provide CyanogenMod installation directly from OPPO N1 stock recovery without rooting or install a custom recovery.